This awards season, Sony PIX & Doolally are on a quest to find the greatest Hollywood fan that ever lived! Come join us, participate in the Sony PIX Hollywood’s Finest Quiz and test your mettle against your fellow zealots! Show us what you got and win EXCLUSIVE HOLLYWOOD COLLECTIBLES! 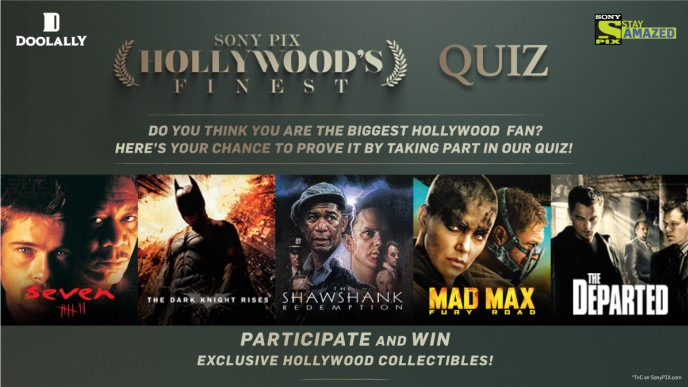 Share "Sony PIX Hollywood's Finest Quiz"